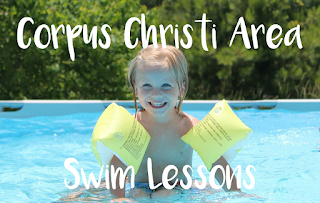 Swim lessons are very important and where to get lessons is one of our most popular questions. Here's a list of swim lessons in our area. Did we forget one? Send us a message. Also, compiling is hard work, please be courteous and link back to this page when using this info. 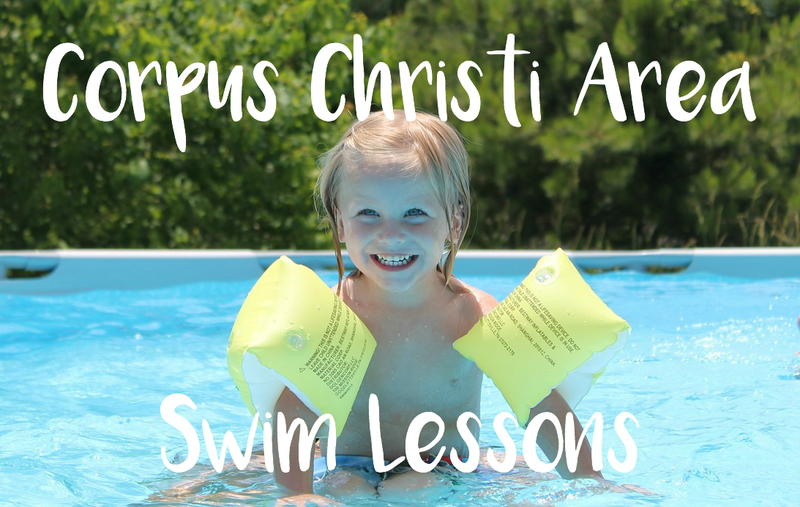 City of Corpus Christi provides Jeff Ellis Learn-to -Swim Program. Lessons are offered for ages 6 months to adult. Classes are offered Tuesday through Friday for two consecutive weeks. Minimum 2/Maximum 6 per class. All classes are 30 minutes long. Missed classes cannot be made up. Private lessons available as well as parent and tot classes. Cost: $40.00/swimmer/session for group, $65 twice a week. Elementary and middle school students are eligible to participate in the instructional swimming program. Students must be 6 years of age by August 1, 2016. It is recommended that students enrolling be at least 48 inches in height. All students must be potty trained. Students who cry excessively or refuse to participate, during lessons, are subject to being dropped from the group lessons and tuition will not be refunded. All students must have permission from parent or legal guardian and be in good health. Students will be assigned to an instructor according to skill level: beginner, intermediate and advanced swimmer. Approximately 4-5 students per instructor and classes are co-educational. Ages 4 through 12. This Level I-IV group program follows the American Red Cross guidelines. Parent and Child Aquatics class also available. The aquatics programs of the YMCA are about more than just the techniques and skills; they are about building friendships, developing self-esteem and creating positive experiences that will last a lifetime. 417 S Upper Broadway St. Swim America group and private lessons. Cost: Call for information. Memberships are $375 for an entire household for the entire summer. New this summer is the +1 option. For $100 more, members can bring 1 guest everyday at no additional charge. Use the Jeff Ellis and Associates Learn to Swim Program designed to give students a positive learning experience. Participants must complete all skills as well as the exit skills test in each level before advancing tithe next. All students will receive a prize and certificate at the end of each session. A minimum of 5 participants is required for each class to make. Age requirements are just a guideline. Placement depends upon skills. Swim lessons for children ages 2-12. Swim lessons for children of all ages and abilities, including our infant and baby swim lessons, toddler swim lessons, and swimming classes for kids up to age 12! Group swim lessons for ages 3 and up. Private lessons ongoing. Register: Call 361-853-3411 and leave your name and number for Jeanne Huff to call you to schedule swim lessons. All classes are 30 minutes long. Private lessons available.